If we wait until D2 to lynch and the cult leader successfully recruits, with a ratio of 8:2:1 town:cult:sk the odds are still much better of us hitting Town, and at that point the numbers are already beginning their shift toward cult's favor. That's assuming the serial killer doesn't kill anyone, right? ^ Indeed, it would be more like 7:2:1, or 8:1:1, depending on who the SK decides to terminate. I meant to add that's also assuming that the Cult succeeds in recruiting. If the recruit lands on the SK or Masons (presuming that they are in the game for the sake of Town-protection), then it'll fail. Awkay. In that case, I gonna /Vote Skip for now. Still can't determine who's what, y'see. Actually, you should never vote skip. Unless all the roles are known and the outcome only depends on night actions. Also, you said you were going to make a list with quotes, Saf? Even if you don't do it for everyone, you can still do it for quotes that catch your interest. This goes for everyone else who doesn't know what else to do. And you too, Godot. Even if you don't write a lot, just pointing out short impressions is enough. Like how you comment on the movies/series you've watched. All right, I'll leave this here for reference. This doesn't mean they can't look back at the thread for hints and speculation. Things that catch their attention. Anything helps. Can choose a person each night. If that person was also targeted by a killing night action, they will survive and get the message of attacked and healed. They should pick someone they think may get attacked. Obvs. Can choose a person each night. If that person was also targeted by a killing night action, they will survive and get the message of attacked and healed. If they choose a person that is not town, they die. Same as doctor. For now, only two people Will kill you so there's not that much risk. Can choose a person each night to investigate. They will be notified of that person's faction. Since there's no mafia, their results can't be tampered with. (No framer). Upon the sheriff dying, turns into a Sheriff. Has no purpose otherwise. Until the sheriff dies, they act as citizens. Can choose to protect someone. If that person was also targeted by a killing night action, both the bodyguard and the person killing will die. If they die protecting someone, the town will always remember it. Same tip as doctor. Can track a person each night. This will reveal who the target visited. They should track someone they think may be suspicious. Can watch a person each night. This will reveal who the target was visited by. Same tip as doctor. They should watch someone they think may be in danger either of being killed or of being culted. Can hold someone in jail overnight. This person becomes immune to night actions and cannot perform one. The jailer enters a night chat with this person under an anonymous account. They can chose whether or not to execute (kill) the person in jail before the night ends. Should ask for the role of the person they jailed, and any night actions they performed. At least on this first night, jailers can trusted implicitly. If they get culted that's bad news. Can choose to leave town and avoid all night actions. Cannot do this two nights in a row. They should leave town if they think they may be in danger. Can make a gun for someone during the night. Cannot do this two nights in a row. These guns can be shot at any time. Should be careful of who they give a gun to. Has two shots that they can fire at night to kill someone. Should shoot only if they have a strong feeling or evidence that someone is suspicious. Can keep someone from performing their night action. They're a good way to find SK or to stop cult leader from culting. Their roleblocks shouldn't fail unless their target was jailed or they left town (commuter). Can recruit Citizens to the masonry. These people share a night chat and cannot be recruited by the Cult Leader. Should try to recruit people they feel are town. Also, since they can recruit before cult leader, they have an advantage there. Of course they may not always find a citizen, but shouldn't try to recruit TPRs. Can choose to reveal themselves at any time. Once they do, their vote counts as 3. Should only reveal if they think it's important or if they may be under pressure. Can choose two people each night. Night actions will be swapped targets between the two people. I'd compare this to Gen 8 speculation, actually. Something I haven't really posted about and when I do, it's not long winded because writing a long post about it feels pointless. I don't see what I can add here. Most of the games I've played start on a night phase, which is to say every single time I've played Werewolf. I'm out of my element. Honestly I don't really care at this point in time. And I'm sure as hell not going to pretend to care, because that's a waste of time. Pure speculation gets us nowhere, and actually voting anyone up is far more likely to set us back than actually help. I think it’s better to keep track of who’s suspicious right away, or at least notice how different people are acting. Day one stuff may seem worthless, but there’s some patterns I’m personally noticing for different people, and that’s not something you should wait to focus on. I think we should assume that the Serial Killer will kill every night, and if there isn’t a kill, something’s up. Like Luke said earlier, if we no lynch today, that’ll mean that we have either 7:2:1 (if CL and SK both hit town), 8:1:1 (if SK hits Cult or Cult attempts to recruit the Masons or SK), or 9:1:1 (if Cult recruits SK or Masons and the SK’s target gets healed). I’m not ready to do a full reads list yet, but I will say this: I’m willing to bet Mystical/Isa is town, and probably a TPR. If she was Cult Leader, and genuinely thought that role discussion would benefit the Cult rather than town, she would have encouraged discussion regarding role possibilities, and she would not have called me out for being so interested in the roles list. With post #87, she seems to be trying to help town, and trying to get everyone in town to cooperate. She’s also against no lynching today. While this is a bit of a meta argument, last game, Curry was adamant about lynching day one, and not only did he turn out to be right about multiple things, he also turned out to be town. While I definitely understand why everyone doesn’t want to lynch today, I do think that Isa’s trying to help town by pushing for a lynch, even if that lynch might result in a town death. (The same applies to Lycoris/Biohazard.) I think someone should try to protect her tonight, since she’s definitely putting a target on her back. If you want to defend yourself, @Foolhard, I strongly recommend you do it now. While there are only three votes on you (Typhlosion, Biohazard, and myself), three others might join in. I’m willing to take my vote off if you explain yourself, but until then, this vote stays. 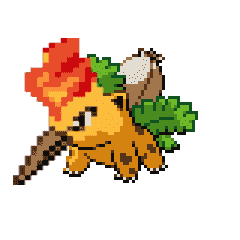 @Typhlosion what do you think? Does it warrant a lynch, in your opinion? @Godot fair enough. I appreciate your honesty, and I think that's the straightest you've been up to now. Hope to see more from you this next day, though. @Varhii What's the policy on pinging other players? I suppose that's allowed, since several people have done it w/o consequences? I'm still not saying a Day 1 lynch has to happen, but I'm not a fan of this mentality for justifying a lack of action. Ideally, Mafia is supposed to be exactly about "narrowing down who those might be at this point with only their words." Night actions are a fun helpful bonus, but even with that, they're hardly guaranteed to give us conclusive evidence about who to lynch. If we wait until D2 to lynch and the cult leader successfully recruits, with a ratio of 8:2:1 town:cult:sk the odds are still much better of us hitting Town, and at that point the numbers are already beginning their shift toward cult's favor. We can't rely on waiting for someone to drop themselves in it. This is hardly a normal mafia game. "Lack of action" is not a problem here, as the alternative is actively harming the Town. Yes, the cult will gain an advantage, but lynching a townie would tip the sclaes even more in favour of the Cult. I'm not saying that night actions will give us conclusive evidence, but they will give us something more to go on than just shooting at random, like it would be if we lynched now. Yes, a mafia game without mafia is not a "normal mafia game" but the same concepts apply to any mafia game. How is lack of action not a problem? Approximately 1/3 of our players are doing jack squat. You're saying the alternative, harms the Town? How is that? I agree that "shooting at random" wouldn't be a good thing, but the point is we shouldn't be. Using what limited knowledge we have to draw the best conclusions we can is the essence of Mafia. We have a total of 5 TPRs, two or three of which are likely to be protection. That leaves a total of, let's be generous and say 4 investigative roles. What are the odds that in one night someone uses their role to learn something conclusive? Not great. Even then, we have the issue of claims and counterclaims and whether or not we can trust the information being fed to us. That's where activity in the day phase is beneficial, for if/when we need to decide whom to trust. Oh yeah, I forgot about that. Good point, SAF. I like a bunch of what you said in this post, but I do want to point out that the last line bugs me. Unless the game has progressed long enough that people are sure of a few alignments and roles and are to the point of just weeding out who's left (as happened in Vengeance of the Six mafia back on AZ) trying to coordinate night actions during the day simply doesn't work well. The two scum roles can play around this just as easily as we can try to play around them. To Isa, I think I mostly answered your question above. If enough people want to lynch today I would want it to be Foolhard, but I'm okay if we aren't sure enough to get it done. Really, more than lynching him, I want Foolhard to actually show up and play the bloody game, so we can reach a more informed conclusion on whether or not to lynch him. Assuming we both survive, though, at this point I can say 100% he'll be my primary target on Day 2. Whoops, I messed up the formatting again. Heck. @Godot Even if four other people have gone before you, your conclusions and actions can still be your own. There's no call for conceding to anyone. Also, I don't know how picky Varhii will be about this, but for the record votes usually have to be bolded to count. Anyway, counting Godot we only have one more vote for a majority, and approximately 4 hours left in the day by my count. This is essentially the last chance to weigh the events of the day and vote or not vote as you see fit. I said that a D1 lynch was not a must for me, but with how the Day has gone I'm still willing to stick by a lynch on Foolhard.